The move will serve as the first step towards disestablishing the Church, after the hard left ruling Syriza party last week finalised its plans for constitutional reform which would strike all references to Jesus and the Church, and define Greece as a “religiously neutral” state. Tsipras referred to the deal struck between church and state on Tuesday as a “historic agreement”, while a communique sent out after the broadcast reported the two sides have reached a settlement over a decades-old property dispute and will set up a joint fund to split revenues and bills from sites claimed by both the church and the state 50-50. “After a long-term, comprehensive and frank dialogue between the state and the Church, a dialogue that took place in an atmosphere of respect and understanding, we now have the opportunity to move to concerted and mutually acceptable and mutually beneficial initiatives related to streamlining our relations,” says the joint statement. Freedom of worship is guaranteed in the current constitution, but its declaration of Orthodoxy as the dominant religion is contested by globalist NGOs which claim this to be an affront to “human rights” in Greece. 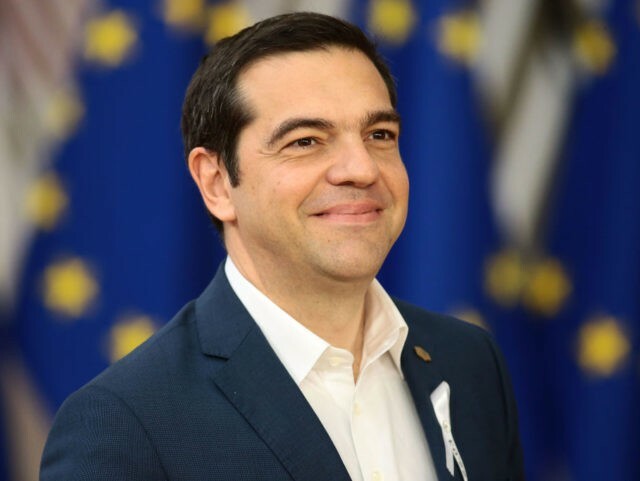 BBC News said the deal was “definitely an important step towards Greece becoming a genuinely secular country”, but warned there was “clearly a very long way ahead before Church and state in Greece are completely separate”. “Pupils at Greek schools still start their day with a prayer and continue to be taught religion throughout their 12-year mandatory education,” notes the British state broadcaster in its analysis, which also highlighted the continuing presence of Christian imagery in the country’s courts. Greece was found to be the most religious nation in Europe in a massive Pew study conducted over two years, which found that of the 96 per cent of Greeks who were raised Orthodox Christian, 93 per cent said they remain practising Christians.